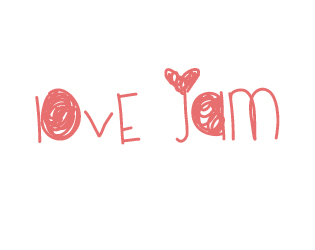 Love Jam is an international Game Jam that wants to celebrate love of any kind. It is meant to be a 48 hour jam within a 72 hour window to accomodate different timezones. You are free to use whatever tools, team size, visual style, ... you want. The only rules are that the game is made from scratch during the jam and that the main theme is love. A friend of ours is getting married and asked us if we could make a game for the occasion. Loving gamedev and game jams we said yes without hesitation and agreed to use the first weekend of february to do so. We didn't think of it at the time, but we suddenly realised that this is very close to Valentine's day and wondered if there would be any interest in a jam that had 'wedding' as a central theme. In the end we decided that the concept of a wedding might put off people who don't believe in the tradition and so decided to extend the theme to love in general, of any kind. Games will be ranked. This is merely for fun. Overall loveliness : How well does the game fit the theme. Your own score : Based on what you find important. We will not, in any way, try to validate if all rules have been followed. In the spirit of fun we do ask developers to play fair.